For style that offers more function without taking up more space, you can't go wrong with the Marilyn 3-in-1 Convertible Crib by AFG. This crib has a compact design that allows it to fit comfortably and stylishly in small apartments or even shared bedrooms. This smaller design doesn't mean a sacrifice in function, however as this crib will safely and securely give your baby the comfort he needs. Add to this two lower drawers, which provide tons of added storage space for toys or blankets, and you have a crib that easily finds a home in any nursery. Made from hardwood materials, it's also suited for the rigors of life with a rambunctious little one. 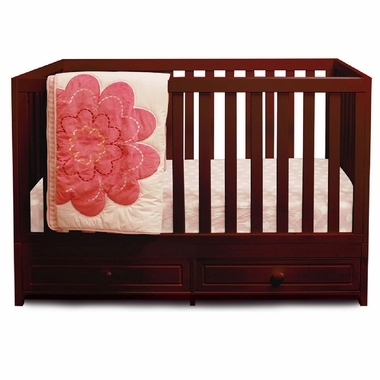 When baby has grown out of the crib, convert it easily into a toddler bed or daybed, and continue enjoying its unique charms for years to come. 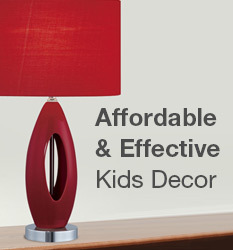 Comes in a rich, non-toxic cherry finish that adds a feel of elegance to any room.